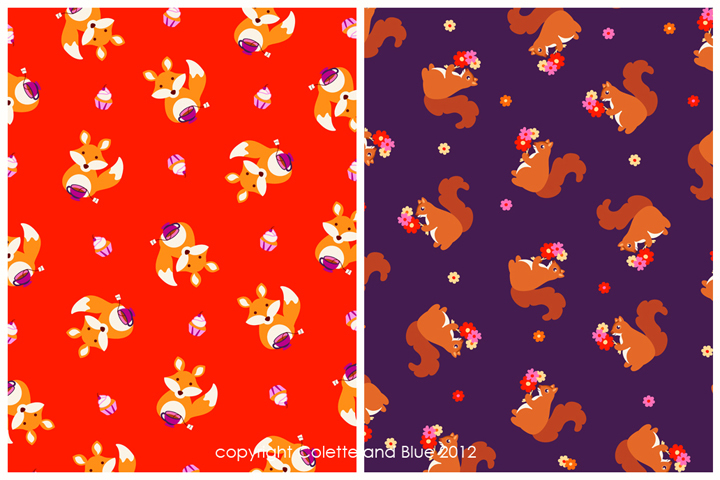 I freelance for Colette and Blue, sending them repeat patterns that they sell to apparel companies, and I thought I'd share two new forest animal patterns I just finished for Fall. I usually draw detailed and inticate things, so it was fun to draw in a simplified and a bit more modern way for a change. That little fox is making me want a cup of tea!